We’re thrilled to report yet again that the National Prescription Coverage Coalition has achieved striking savings for our Coalition Members. Based on year-end analyses, our Coalition Members decreased their prescription coverage costs by approximately 20% to 30%. We’re thrilled to report that yet another Coalition Member that followed our Coalition’s recommendations and took aggressive steps to control its prescription coverage costs has now achieved a 16% cost decrease. Most health plans’ prescription coverage programs allow plan beneficiaries to purchase drugs at virtually all retail pharmacies in the United States, regardless of the prices charged by those pharmacies. 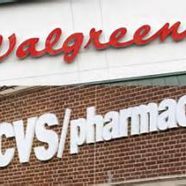 But in a time of spiraling drug costs, every health plan administrator should consider excluding either – or both – of two of the highest-cost chain pharmacies: CVS and Walgreens. Read this article to find out why. 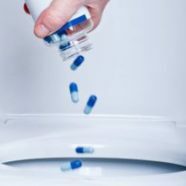 Posted by Linda Cahn on Jun 22, 2016 in How to Generate Savings, Rx Alerts | Comments Off on Are You Taking Action To Protect Your Health Plan Against Extreme Drug Price Increases? You’ve undoubtedly heard that Turing Pharmaceuticals purchased a low-cost drug, Daraprim, and raised its cost by 5433% last year. And Turing’s smug CEO, Martin Shkreli, defended the price hike as perfectly reasonable. But are you aware that several other drug manufacturers are continually purchasing drugs and dramatically increasing their prices? 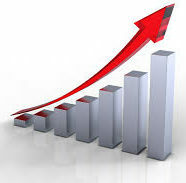 And do you know that during the past 12 months the prices of almost 150 brand drugs increased by 100% or more? Most important of all: Do you realize that as your Plan’s administrator, you can take steps to protect your Plan against some of these outrageous price increases? Read this article to learn how to do so. 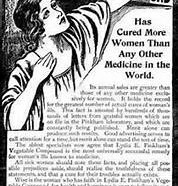 Approximately 100 years ago, at the turn of the twentieth century, anyone could market any concoction claiming it solved any – or every – health problem. You may think that federal laws now prohibit the distribution of un-approved FDA drugs, but your assumption is dead wrong! Moreover, you may have told your PBM – or insurer – that your health plan only covers FDA-approved drugs, but you are probably spending a small fortune for drugs that were never submitted to – let alone approved by – the FDA. Posted by Linda Cahn on Sep 27, 2015 in How to Generate Savings, Rx Alerts | Comments Off on Are You Protecting Your Health Plan Against Astronomical Drug Price Increases? 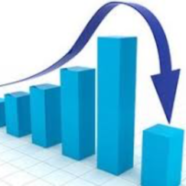 Are You Protecting Your Health Plan Against Astronomical Drug Price Increases? 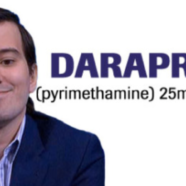 Drug prices were in the news this week because of a shocking 5000% increase in the cost of a single drug: Daraprim. But during the first 9 months of 2015, the average wholesale price (AWP) of almost 50 drugs more than tripled. Given this striking fact, unless your plan – or Coalition – positions itself to learn about – and respond to – these steep price increases, as well as those that will inevitably occur in the future, your plan will not be able to control its costs. Read this article, to find out exactly how to do so. Posted by Linda Cahn on Oct 21, 2014 in How to Generate Savings, Rx Alerts | Comments Off on Make Sure Your Plan Continuously Monitors – and Responds to – Newly Approved Rx Drugs ! Make Sure Your Plan Continuously Monitors – and Responds to – Newly Approved Rx Drugs ! 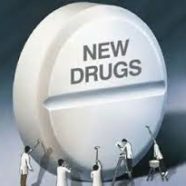 The drug marketplace is continually changing, and new drugs are continually entering the market. But there’s good reason to act to prevent your plan beneficiaries from using many newly approved drugs. Read this article and learn why doing so will often protect – not harm – your Plan Beneficiaries, as well as conserve your Plan assets. And why you can’t depend on the FDA – or your PBM – to accomplish those goals. 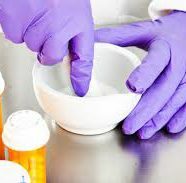 Posted by Linda Cahn on Aug 13, 2014 in How to Generate Savings, PBM, manufacturer and other third party “antics” that increase Plan costs, Rx Alerts | Comments Off on Beware of Claims Data Errors – They Have Serious Implications! Beware of Claims Data Errors – They Have Serious Implications! It’s critically important that every health plan monitor its claims data to determine whether pharmacy claims data errors are allowing your PBM to overcharge for drugs and misrepresent whether it satisfied your PBM contract’s financial guarantees. 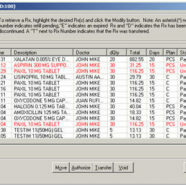 Your PBM has every reason to ignore all claims data errors. And your auditor may do so as well! But your Plan can’t ignore these errors, if you expect to control your costs. Read this article and understand why. Careful monitoring of new clients’ claims data reveals an abundance of new, high cost Compound Drug creams that are causing Plans’ costs to soar. And many – if not most – of the new compound drugs have no proven efficacy! Read this article to understand the problem, and learn exactly what you need to do to ensure these compound drugs don’t cost your Plan immense sums.